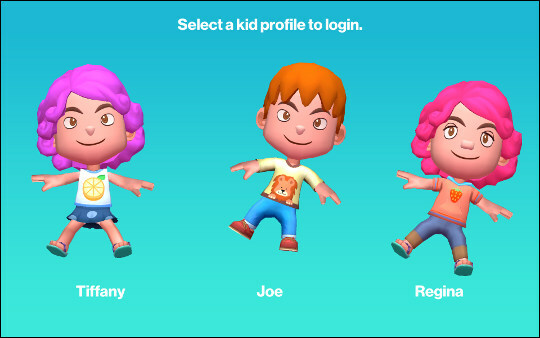 Kids World is a custom kids' interface that provides easy access to 3D games and premium learning apps and books. Parents can manage access and allowed tablet time using the Parent Dashboard. Tap the applicable avatar to log in. To access the premium learning apps, tap one of the islands from the main screen. An active data plan is required for full access to all apps. On the main GizmoTab screen are 'Featured Apps' on 6 different themed islands that house the learning apps (e.g., Math & Science Island, Storybook Island, Arts & Crafts Island, etc.) in addition to your child's own Island. The last island is named after the child (e.g., Tiffany's island) and includes various apps. Flip button lets you go from any islands app tray to the new Featured Apps. Use the Right or Left Arrow button to navigate through islands. A Yellow Arrow shows you that the app has not been downloaded yet. Tap desired app to Open or Download.